Pitted green olives in reduced salt brine. Once opened, keep refrigerated and consume within 14 days and by ‘use by’ date shown. Store in a cool dry place. 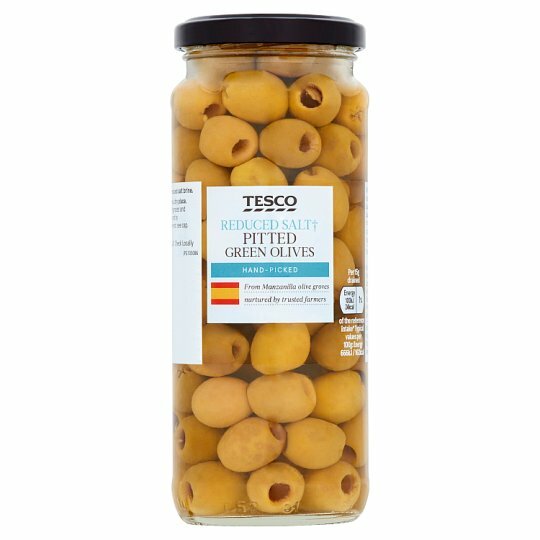 CAUTION: Although every care has been taken to remove olive stones, some may remain.